Intrepid Sea – Life moves pretty fast. It’s not every day that a space shuttle lands at LAX. Although this was a first for the major Los Angeles airport hub, it was a last for the space shuttle Endeavour, as it completed its tour of California skies and landed, albeit atop a 747, for the last time. 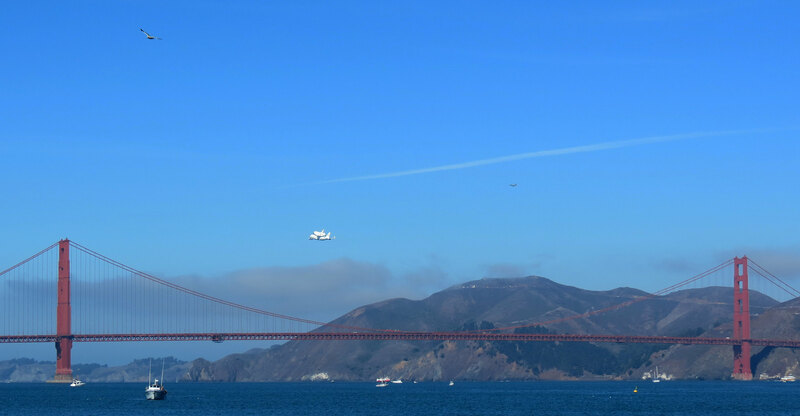 During its last flight the iconic shuttle and its chase planes were photographed near several of California’s own icons including the Golden GateBridge in San Francisco, the HollywoodSign, and the skyline of Los Angeles. 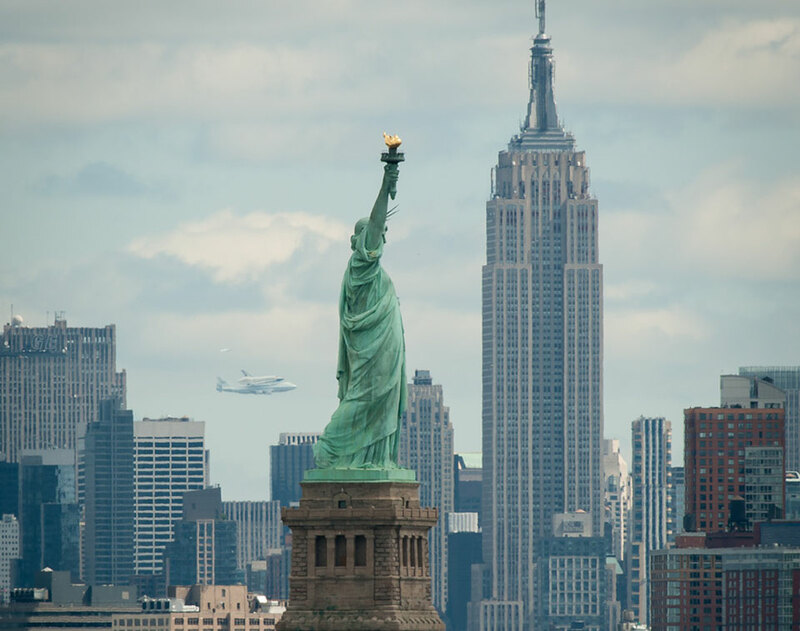 Previously, in May, the space shuttle Enterprise was captured passing behind several of New York City’s icons on its way to the Intrepid Sea, Air, & Space Museum. 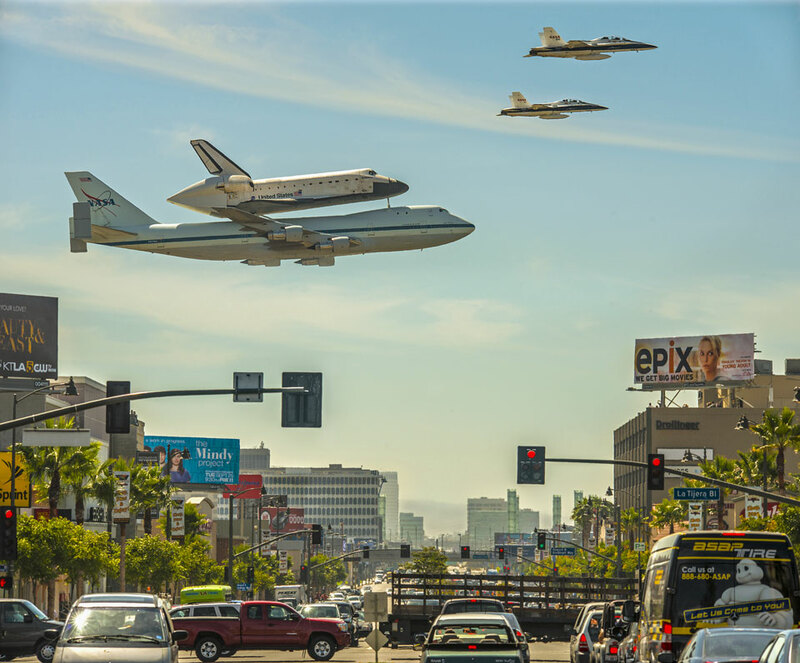 Pictured above, the piggybacking shuttle was snapped on approach last week to LAX as it crossed above and beyond a major Los Angeles street. Now retired, the space shuttles are all museum pieces, with the above shuttle scheduled to be towed along the streets of LA to the California Science Center.